WILLIAM H. ROSEBROUGH was born in Perry County, Mo., January 3, 1839, a son of James and Julia (Pitman) Rosebrough, both natives of North Carolina. 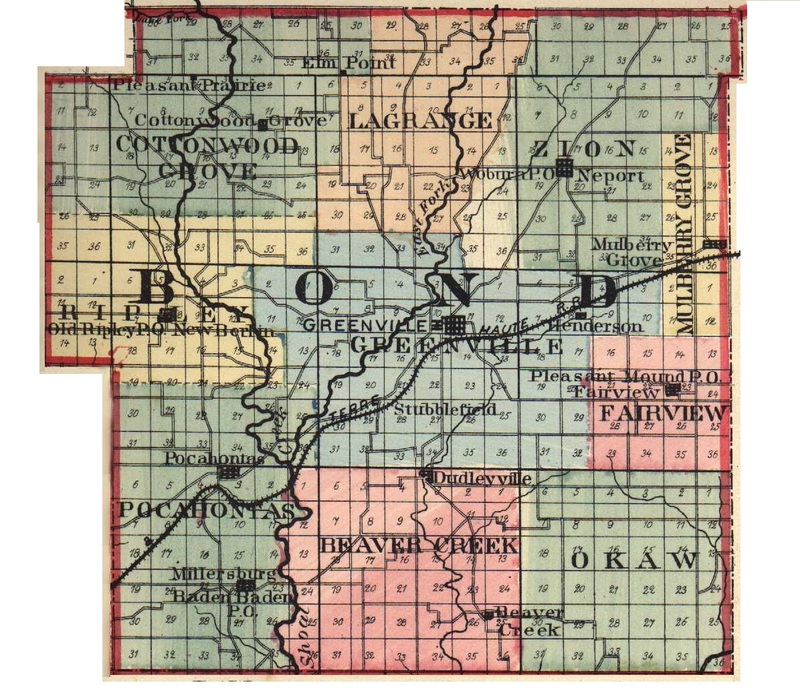 The family came to Bond County, Ill., and located on the farm where our subject now lives. His mother died soon after her removal to this State, and while he was too young to realize the extent of the bereavement caused by her death. A most singular incident was the death of his father, which occurred the day this old gentleman completed his seventy-second year. The ancestors of the present branch of the Rosebrough family were noted Abolitionists, and the father of our subject took an active interest in the abolition of slavery. William H. Rosebrough was next to the youngest in the family of children, who were as follows: Almira, wife of Francis Dressor, a prominent farmer of Shoal Creek Township, Bond County; Isaac Milton, who died at Valley Falls, Kan., in 1888; John D., who died at Reno, Ill.; Sarah D., the widow of S. Denny, who occupied the position of County Clerk of Bond County for twelve years; and Margaret E., who resides in Greenville. Our subject was brought up on a farm, and can truthfully recount the experiences of youths in the early days, when the subject of chores was a matter of discussion between the small boy of the house and his elders. After receiving a good common-school education, he decided to follow in the footsteps of his father and became a tiller of the soil. In the fall of 1862, our subject discovered in Miss Louisa Hunt the womanly qualities he sought in her who should be his companion through life, and, obtaining the consent of this lady to a life partnership, their wedding took place in the year 1862, and during the time when the vital question decided by the Civil War was at issue. The wife of our subject was a native of London, England, and is a fine specimen of the broadminded, intelligent Englishwoman, whose interests are centered in her home and family. Mrs. Rosebrough has borne her husband four children. Nellie H., the eldest, is the wife of H. B. Harrison, a Congregational minister of Barnesville, Minn. Mrs. Harrison was educated at the college of Northfield, Minn., at which institution she finished her education. Miss Sadie Rosebrough is now being educated at Greenville College; while Mabel, the youngest member of the family, is attending the public schools of her township. Mr. Rosebrough was an active Republican element in this community until the cause of temperance illustrated to him the fact that a Prohibition party had much to accomplish for the good of the county, and several years ago he became a Prohibitionist, "Look not on the wine" has been one of the mottoes of his life, and he has not only lived the life of a temperate man by eschewing liquors, but has carried out the precept and teaching of St. Paul, and been temperate in all things. Our subject is a hearty and liberal supporter of the Presbyterian Church, in which body he holds the position of Deacon, and has been an industrious and efficient worker. It cannot be doubted that he has a conscientious regard for the religious office he assumes, and the responsibilities devolving upon him are executed in an earnest and faithful spirit. Extracted 20 Dec 2016 by Norma Hass from 1892 Portrait and Biographical Record of Montgomery and Bond Counties, Illinois, pages 407-408.